Fresh Sugarcane Juices and Pressed Juices @ Mia Perfect Juice - Fountain Valley - EAT WITH HOP! 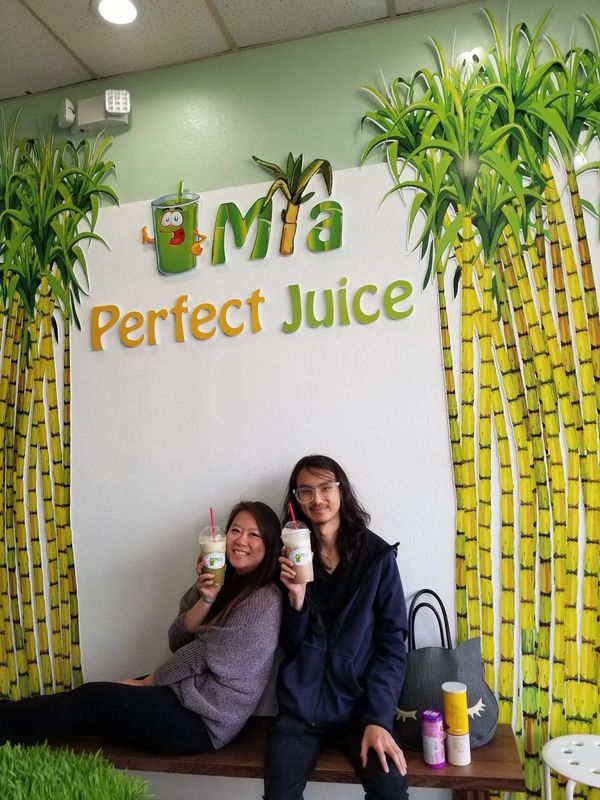 Mia Perfect Juice is so refreshing! 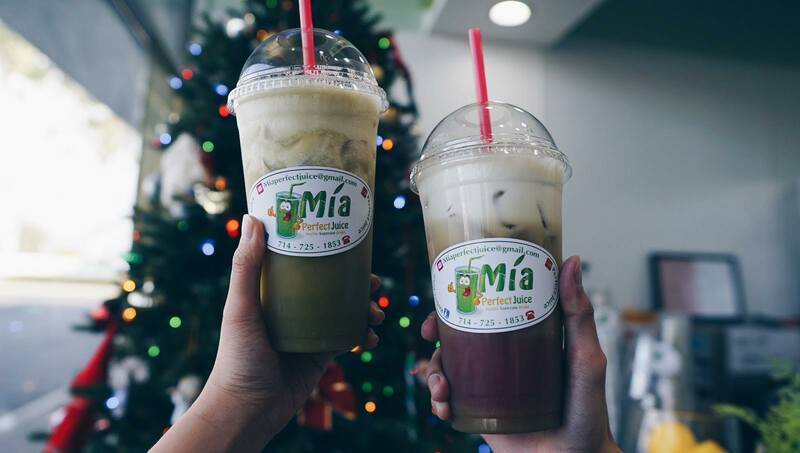 If you are a sugarcane juice fan, this is a must-try spot! 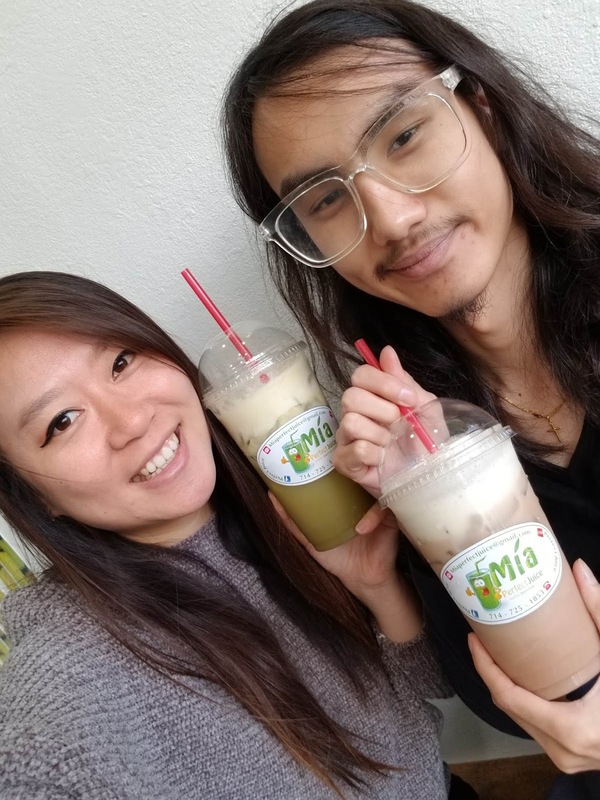 Originally a truck that caters at events and also stationed at the corner of Mcfadden and Brookhurst, this fresh juice shop sells a variety of drinks! We ordered the Durian + Sugarcane Juice and also the Pomegranate Juice + Sugarcane Juice. So so sooooo refreshingly good. It is originally a truck! They still are a truck and cater at various events, including the Asian Garden Mall Little Saigon Night Market during the summer. Here are their hours of operation. They are closed Mondays! Check out their menu! They not only serve sugarcane juices, but pressed juices from vegetables as well. And if you're looking for the popular "cococane" which is sugarcane juice + coconut juice, they have it here too! I was totally lovinnn my durian juice + sugarcane juice drink. The durian was soooooooo creamy and delicious and balanced well with the natural sweetness of the sugarcane juice. 10/10 would get it again! Here are the sizes and prices they have available. You can buy an entire jug of sugarcane juice! YUMM I love how it's pressed fresh! So so glad this place opened a store because I love it! I literally drink fresh pomegranate juice made by my mom everyday. When I took a sip of this, I could tell it was fresh too! Like oh yea...this is definitely pomegranate juice! And since it is usually a sour and tart tasting fruit, it was sweetened well with the sugarcane juice combined. It wasn't tart or sour anymore but still had the pomegranate flavor. I don't prefer eating the actual durian fruit because it's kind of slimy and smelly, but I do like it in general. I especially love durian as ice cream. But when I tried it as juice combined with sugarcane juice, it was OH MY GAH so creaaaamy and delicious! Wow! Kind of savory and creamy and sweet. Wow. If you don't like durian fruit but still want to try, I think this is a safe way to try the fruit to see if you would like it or not. They have a variety of fruit juices that you can combine with sugarcane. They also have the ever so popular coconut juice + sugarcane juice combo called "cococane" that is made popular by the another Nuoc Mia (Sugarcane) shop in Westminster called Thuan Thoi (review here). 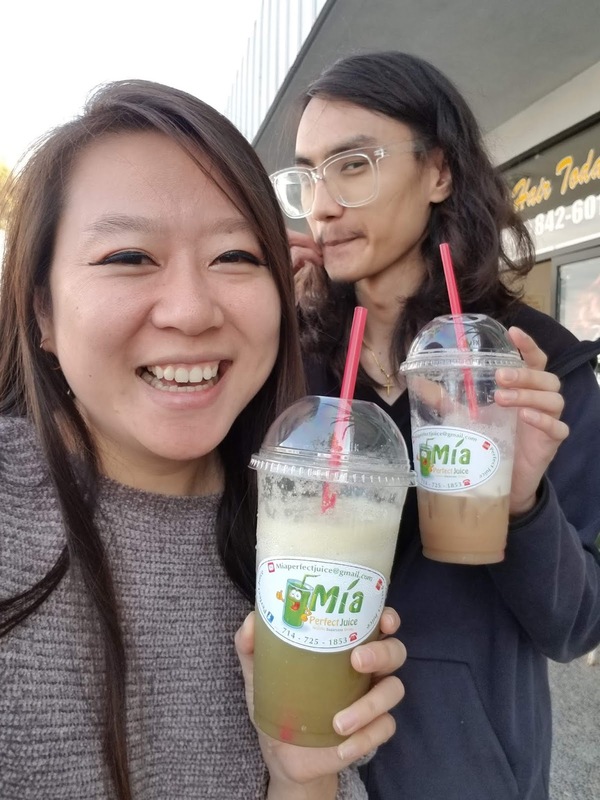 I also noticed that Mia Perfect Juice does not add that much ice! Yay! The more juice the betta please! If you ever see this truck, I recommend you try it! Unless you don't like sugarcane then nevermind... I have several friends who don't like sugarcane (why?! I don't understand!). The actual store is a small mom&pop kind of shop that has barely any seating so don't expect to come here to chill with friends and play board games cause it ain't that typa place!